Such a sweet shot of bride Athena and her groom from their May wedding! 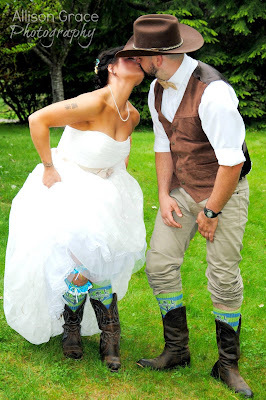 These newlyweds love the Seattle Sounders! Photograph by Allison Grace Photography.